As a reader you can’t help but compare author’s novels and sometimes that doesn’t bode well for the book right after one you really liked. This is the case for me and this book. 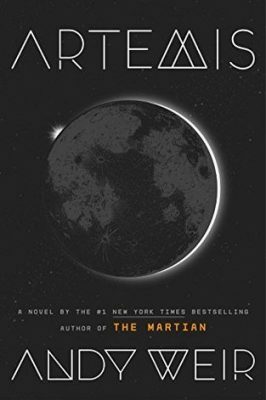 I read The Martian a few weeks ago and really enjoyed it. That is why I picked this book to read for my theme about a heist and while I did enjoy it, it did not live up to my expectations. The premise of the story was awesome but I did not connect with any of the characters, in fact I found Jazz to be a bit annoying. Also the section of the book that was supposed to be the climax I found to be a little painful to read. It started losing my attention at the part that should have had me on the edge of my seat. I also didn’t find myself laughing out loud at the parts that were obviously supposed to be humorous like I did with The Martian. Overall it was just OK so I am rating it right down the middle.